Did you eat too much turkey or green bean casserole this week? I did! 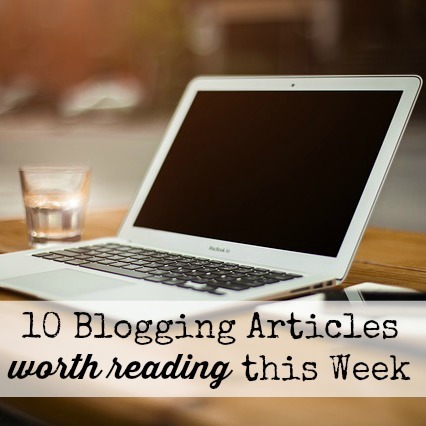 While you are sitting on the couch digesting your Thanksgiving deliciousness days after the fact, check out these awesome blogging articles to help take your blog to the next level. Might as well be productive in the midst of tryptophan, right?! I just love this article. It’s completely thorough and offers you this awesome tip about a Headline Analyzer from Advanced Marketing Institute. How cool would it be to have a program analyze your headings before clicking publish? A major marketing time-saver! I actually tested a headline that several other bloggers recently suggested I change, and I got an amazing score of 88%. I’ll be keeping that one! It’s time to get your SEO on friend! There is no blogging traffic that is more passive than Google search. Take the time to make your website worthy of a Google search, and it will determine your future blogging success for sure. Loved these tips! While this sounds like it’s all about you (aka the blogger), these questions actually teach you how to be more beneficial to your readers by sharing information about yourself. Teaching readers how you became successful and how they can do the same is really what it’s all about—sharing the good stuff. Yes, it is important to share stories to engage the emotional side of your readers; however, it’s important to avoid fatiguing readers with droning on with emotional stories. Read more in this article about finding the perfect balance of emotion in your copy. My current theme went live on my blog less than 1 year ago, and I’m ready for a change. Themes are ever-changing, but speed is a major factor. Your website might be uber pretty, but super slow. These are 5 themes you may want to consider, if you too are looking for a change. What’s your best blogging tip this week?